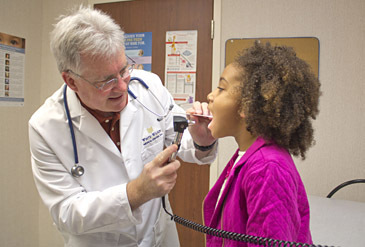 White-Wilson is committed to providing the highest quality pediatric care available. Our pediatricians provide extensive experience managing all of the medical needs of children, from the severely ill to the day-to-day conditions of childhood. Our pediatric doctors have a thorough knowledge of childhood diseases and conditions and of the growth and developmental needs of children. We focus on disease prevention, health promotion and well childcare. We are passionate about healthy children, and we love to watch our patients grow from infancy to adulthood. We look forward to serving you and your children from birth to adolescence! White-Wilson Pediatric Department offers comprehensive children's health and wellness services in four convenient locations-Fort Walton Beach, Destin, Navarre and Niceville and serves as the area's largest pediatric group. We understand that when your child is sick, time is of the essence. 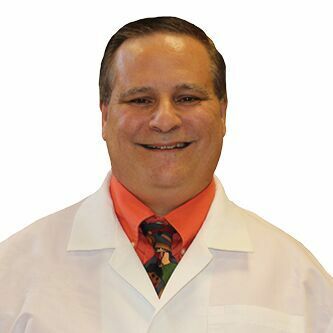 White-Wilson takes same day appointments and offers Saturday Clinic hours in Fort Walton Beach, Navarre and Niceville! Clinic hours are listed below for your reference. Additionally, we take appointments for White-Wilson patients in Fort Walton Beach Monday through Friday until 7 pm. White-Wilson Pediatrics accepts most major insurances, and offers lab and imaging all under one roof! We request that established patients arrive at least 10 minutes prior to your appointment time, and new patients arrive 30 minutes prior to allow for registration time. Because of the volume of patients we see each day we request that you call prior to an unexpected visit, as we do not accept walk-ins. In the case of an emergency, the Emergency Room may be the most appropriate place to take your child. Health maintenance visits are often referred to as well child visits, physicals or checkups. The purpose of a health maintenance visit is to assess the overall health of your child. This includes following his/her growth, development and emotional wellbeing. The child is screened for hidden health problems and immunized against certain infectious diseases. This is the time when routine concerns about the child's health, behavior and development are addressed. More complex issues usually require separate appointments to fully evaluate. Are you pregnant now? Click here to learn how your baby is growing! When a child legally enters adulthood at the age of 18, that patient will start seeing a family physician instead of a pediatrician for health care. Pediatricians specialize in understanding and dealing with the very delicate physical, mental, and emotional processes and developmental changes that children undergo while they are under pediatric care. This training provides pediatricians with the ability to provide specialized care and treatment that is safe for growing patients to undergo. Should the pediatrician be alerted to any developmental abnormalities, he or she will recommend a specialist who is capable of treating disorders in patients under the age of 18. Typically, pediatricians will see infants within one week of birth; provided the infant remains in the same community during his or her upbringing, that infant will continue seeing the same pediatrician for the first 18 years of his or her life. When infants, children, and adolescents are sick for any reason, they typically see their pediatrician. Even when young patients have to seek emergency care or immediate care when their pediatrician is not available, it is highly recommended by the physician handling the patient that the pediatrician be consulted with as soon as the patient is well enough and sometimes even before then. 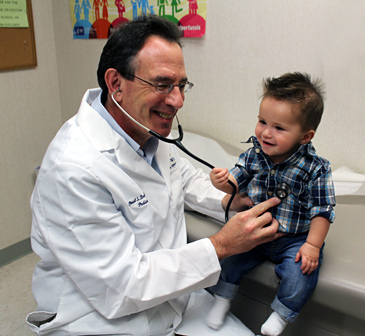 Parents should take their child to see their pediatrician for routine wellness checks. During the infant stage, checkups happen often. As the baby grows and develops, checkups do not need to occur as frequently and typically, children only need to be seen once per year for a general wellness check. Parents should take their child to see the pediatrician when their child shows signs of being unwell. Even a common cold could be viral and not bacterial; in such cases, the cold could easily turn into something more complicated and life-threatening like pneumonia. Parents should take their child to see their pediatrician for routine and requisite vaccinations. Parents should take their child to see the pediatrician when and if their child's mood or behavior changes drastically. This could be a sign of something more problematic like abuse or bullying, or it could be an indication of a psychological problem in which case the sooner intervention is provided, the better the outcome. Because children are too young to facilitate their own care, they are solely reliant on parents and caregivers to get medical help, so adults need to make sure they are attentive to when their children indicates that they are unwell, and they need to be proactive with their children's general wellness checks. Saturday Pediatric Clinics in Fort Walton Beach, Niceville and Navarre. Monday, Wednesday, Thursday: 7:00 a.m. - 7:00 p.m.
Tuesday, Friday: 8:00 a.m. - 5:00 p.m.
Health Forms For Patients Under 12 Months: Fill out your health forms now to help prepare for your appointment. Click here to download and print the form.